Check out our install review on Jeepin.com. 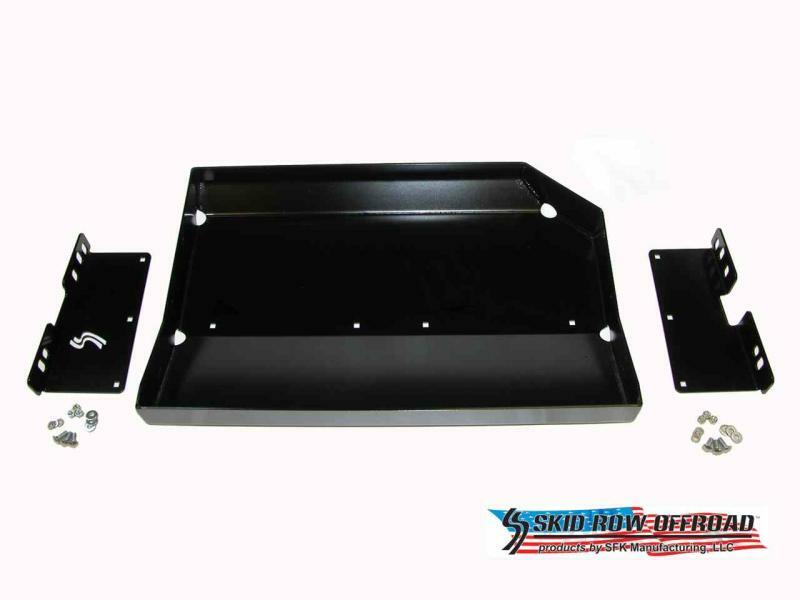 This Skid Row Offroad Gas Tank Skid Plate for your XJ Cherokee or ZJ Grand Cherokee is much stronger than the optional factory skid plate and protects one of the most often and easily damaged parts of your vehicle. 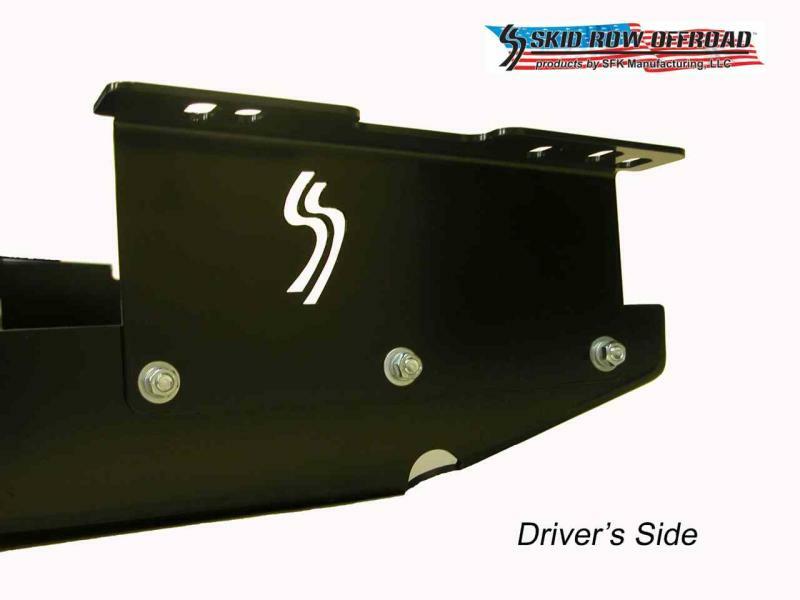 It is made from laser-cut 3/16" thick steel that is CNC folded for consistent quality and fit. Then it’s finished in an environmentally-friendly, and durable, black powder coating. 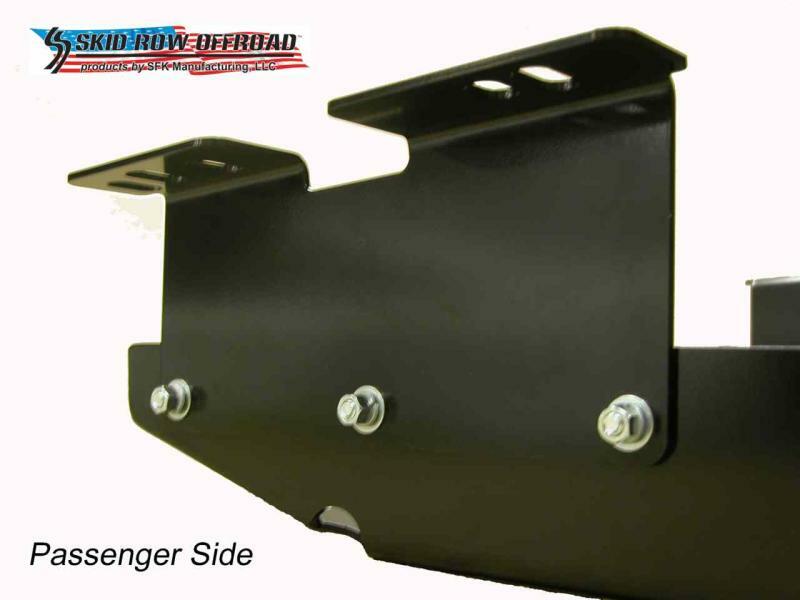 It is also a completely bolt-on, 3 piece design which includes the main skid plate and the two mounting brackets. It was designed this way to make it easy to install and to assure a perfect fit. Works with most hitches. Four M12x1.75 x 30mm bolts, lock washers, and large flat washers are needed for this installation if your vehicle does not have a hitch installed. Most, if not all, ZJs have these fasteners installed from the factory.